All SCOTTSDALE RIDGE homes currently listed for sale in Cottonwood Heights as of 04/22/2019 are shown below. You can change the search criteria at any time by pressing the 'Change Search' button below. "Welcome home to this beautiful home situated in Scottsdale Ridge -with river rock and stucco exterior-over 5000 square feet, nestled between Big and Little Cottonwood Canyons. 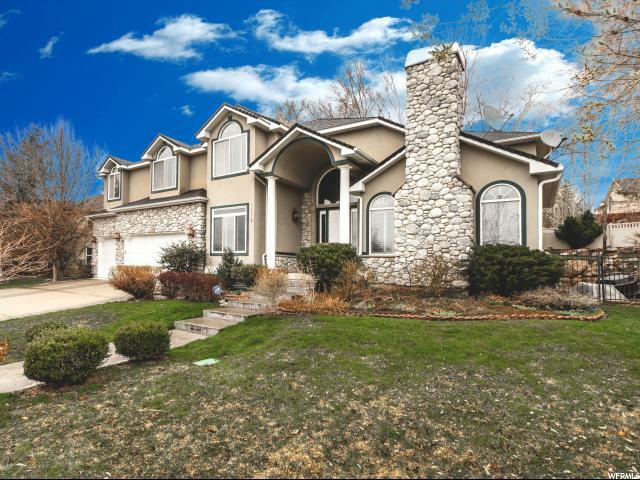 Features include: formal living and dining room, office with french doors, an amazing master suite with a private bath, 5 large bedrooms, 2 family rooms, home theater (includes equipment,) fresh paint, 3 fireplaces, open kitchen with gas range, vaulted ceilings, lush, mature landscaping with a fully-fenced yard. "